I thought I’d take some time out between smartwatch reviews (I rather like the Basis Peak and am warming to the Apple Watch) to tell of my latest love (OK, more like infatuation), Alexa. She seems to understand whatever I ask and does her best to help me. She is constantly learning and supports me in some way every week. Alexa takes care of me. I’ve long had a love/hate relationship with Siri. She frequently misunderstands me, and I swear she often purposefully chooses to do the wrong thing. I continue to long for the day when Cortana will be available for my devices. In the interim, I’ve grown quite fond of Alexa. I first got my Amazon Echo about eight months ago as part of the initial, invitation-only, $99 offer. (The device is now available to the general public for $180). It was a great toy over the holidays, with people asking questions about who the 41st president was, requesting a particular piece of music, and so on. Though it was fun, its repertoire was fairly limited. Sure, I had some concerns about the constantly on microphone. I also felt that the speaker was not good enough to use for listening to music given that I had a nice sound system in the same room. But, I thought that the real issue was that there wasn’t much I actually needed it for. After the initial experimenting, it sat idle for months. A couple months ago, I’d received enough email about new features that I decided to play with it some more. I tried telling Alexa that I wanted to listen to NPR. 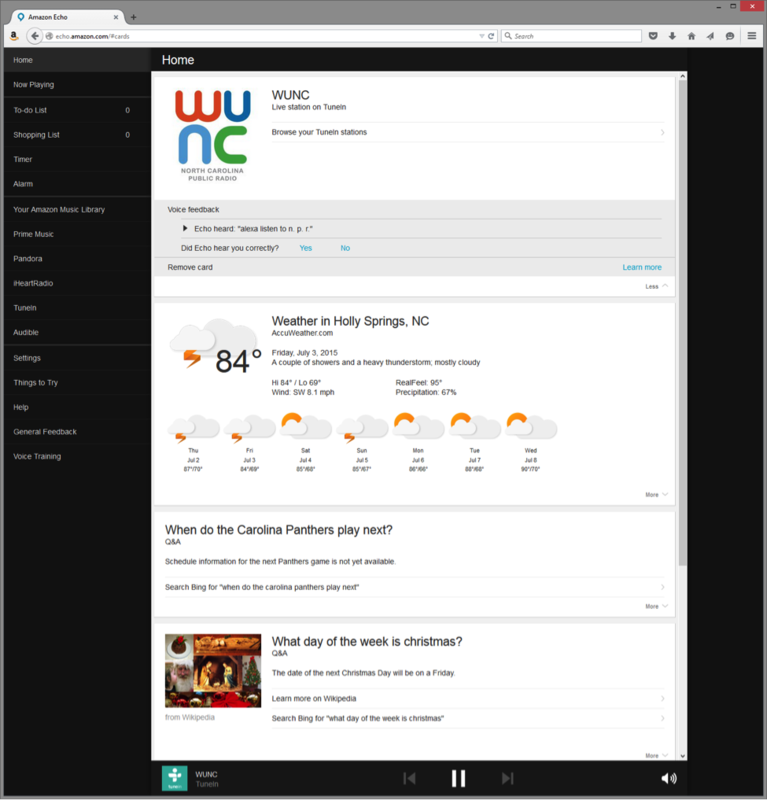 My local station (WUNC) came on and I got to hear the rest of the story I had been listening to in my car. They added sports, and I found it useful for finding out what time the San Antonio Spurs were playing. Or, what the latest score was on some game I cared about. It seems like some new functionality is added every week or two. And, all of the features I’ve tried have worked well. In truth, what is interesting/exciting about Alexa is the hint at what it (or similar products) can be. One of the most impressive things about Alexa is that the voice recognition seems much better than Siri’s. That may be in part because, in Alexa’s case, precision does not matter as much. Siri gets blamed for every embarrassing “typo” in my text. Alexa just plays the wrong music or something. But, I seldom run across such errors. 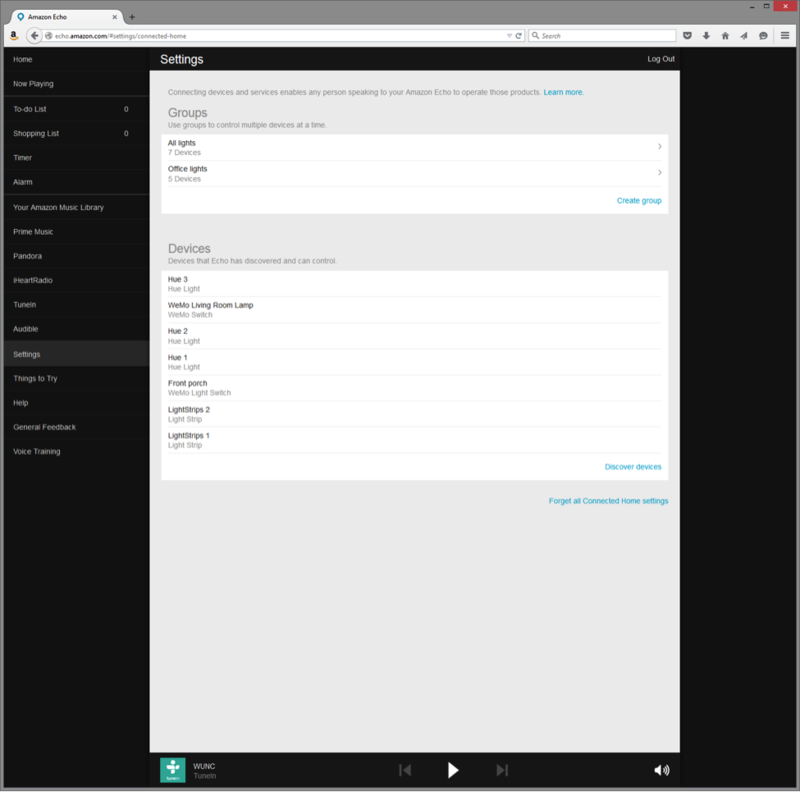 As the screenshot shows, you can see what the Echo has done by going to your personal Web page. You can help the product learn by letting it know if it understood you properly. 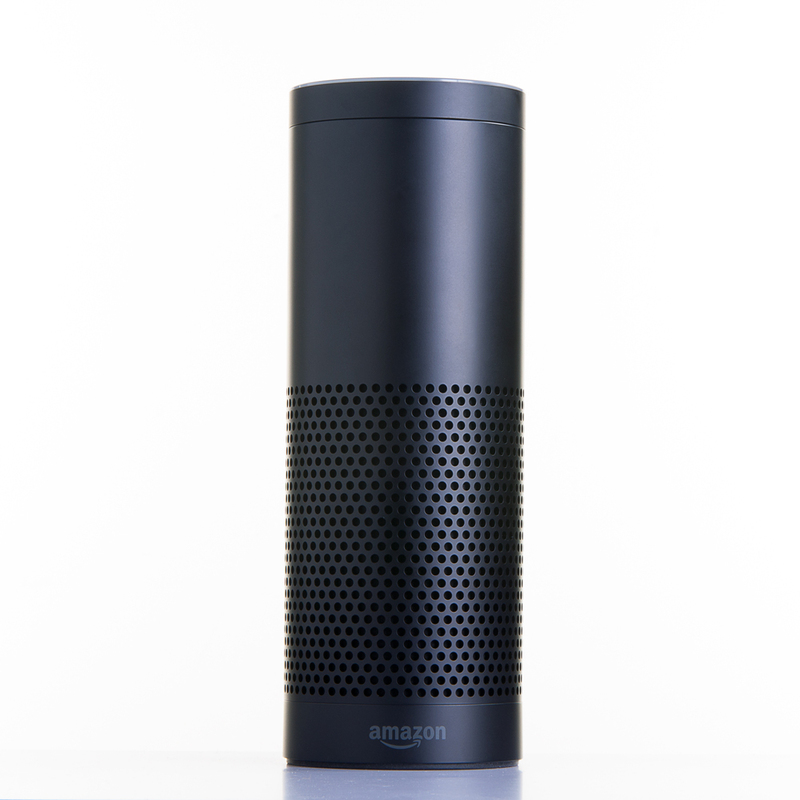 There have been some funny incidents, such as watching a movie where a character said, “Merry Christmas!” Alexa happily responded, “Merry Christmas to you, too!” I never did figure out why she decided that she should respond, because none of the characters in the movie was named Alexa. It was a reminder that the device is constantly listening. 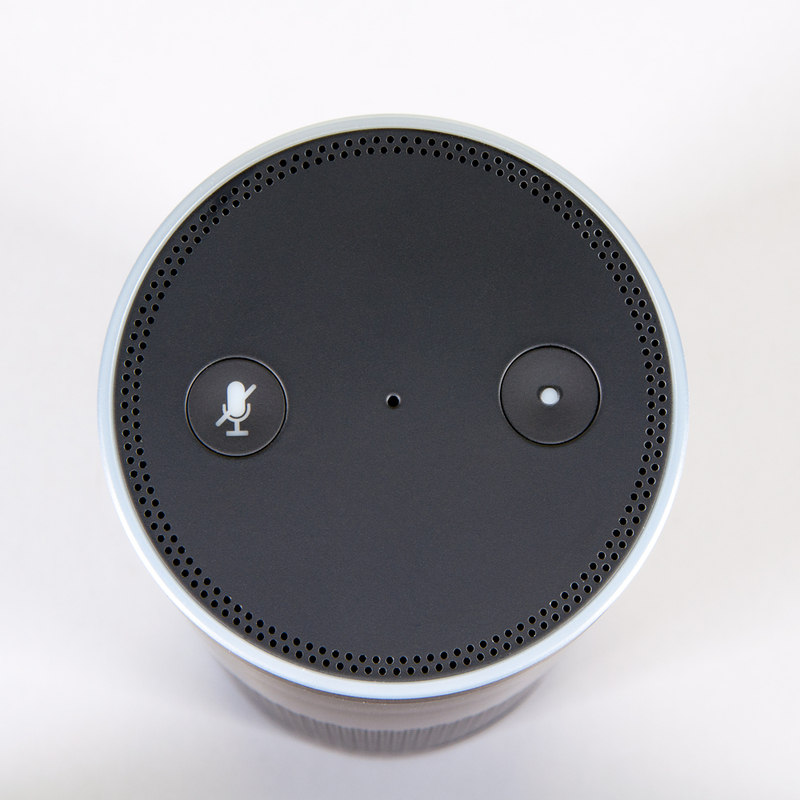 I also wish that the Amazon Echo integrated with my email, texting, calendar, and with just about everything else. That said, I’m not sure if I wish it were on my phone/watch or not, rather than in a device locked to a particular location. Regardless, I think the Amazon Echo is worth playing with to see what the future will hold. Whether it is worth the money is a tougher call for most folks. But, who can put a price on love?